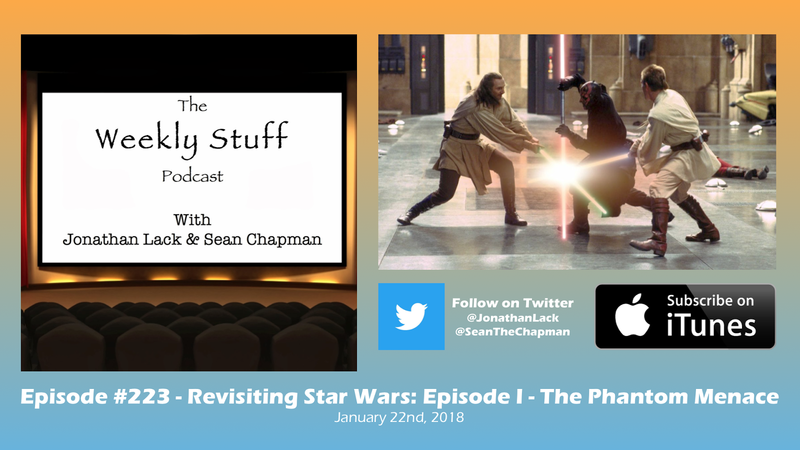 This week on the show, we’ve recorded the first in a series of conversations about three of the most ubiquitously discussed, ridiculed, and meme-ified films in the modern pop culture landscape: The Star Wars Prequel Trilogy. For all the attention these films have gotten over the years, how much genuine critical engagement – something deeper than just “LOL JAR JAR!” – have they truly been afforded? What do they tell us about a franchise that has resurged in cultural dominance in recent years, how did they set the stage for the digital cinema revolution we are currently living through, and what do they have to say about the politics of the 21st century? These films are better, deeper, richer, and more critically rewarding than they get credit for, and we aim to rectify that gap, starting here with our in-depth discussion of The Phantom Menace. Whatever your thoughts on the film, we think you’ll find this conversation interesting, and only ask you go in with an open mind. And before the main topic, we also talk some Doctor Who, give our very early impressions of Digimon Story Cybersleuth Hacker’s Memory for the PS4, and go over a few news items, including the announcement of the new ‘Nintendo Labo’ product line for the Switch.